The script accepts an Apache access file as the input and creates an output file containing one URL per line. The list is unique and should only contain the URL without parameters (incomplete directory names are not extracted). 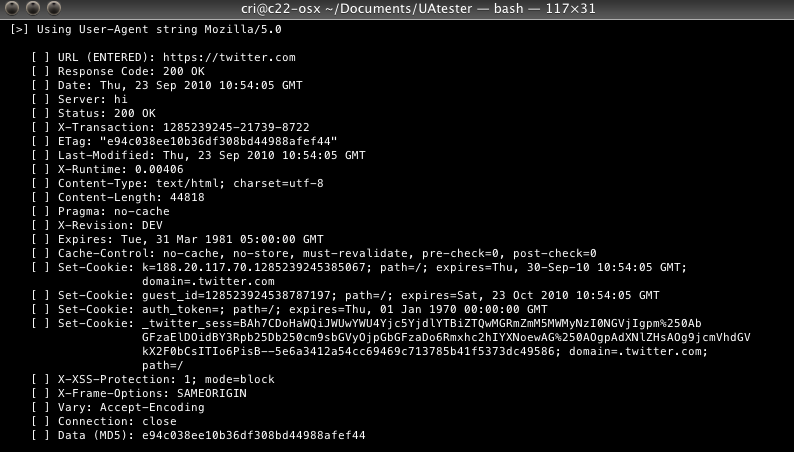 It also takes these URLs and creates a wordlist output of all valid directoy names for use with brute-forcing etc… As of version0.4 I’ve also added some (messy) scripting to output basic auth usernames if they’re present in the log file. As my test logs were limited I’ve tested it as far as I can. 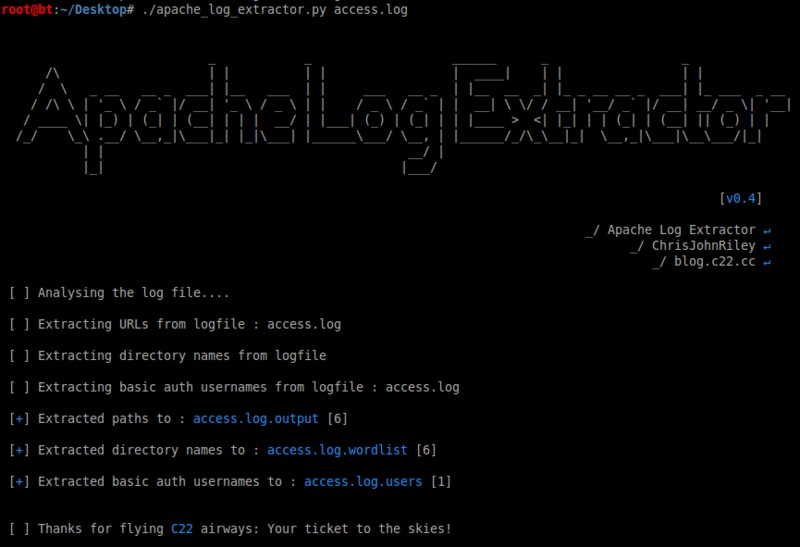 If you come across a log it hates, please send me a few example entries and I’ll try to fine tune the regex. If you have anyother ideas, please feel free to get in touch.